PJ Development Holdings Bhd expects a steady income flow from various projects over the next three years despite the uncertain global and national economic outlook. Judging from the sales of its Swiss-Garden Residences in the last three months, this appears to be a realistic expectation. “We have yet to launch but the first block of Swiss-Garden Residences, located along Jalan Galloway, is already 80% sold with buyers from Singapore, Hong Kong and Malaysia,” says executive director Yap Yoon Kong. “We are able to offer a guaranteed return of 7% over the next five years, with an option to extend another five,” says Yap. The 436-unit project, on 1.7 acres of freehold land, comprises a 37 and a 33-storey block. One of the blocks will be directly linked to the four-star Swiss-Garden Hotel via a covered bridge. Both blocks will be linked at the podium level. Yap says the selling point is the location, which is at the fork between Jalan Bukit Bintang and Jalan Pudu. “This place is vibrant and is located near a tourist shopping area,” he adds. The concept of a serviced apartment with Swiss-Garden Hotel offering its services is another attraction. “The hotel has an occupancy rate of more than 80%. We own and manage the hotel, together with another four located throughout the country. “Linking the residences to the hotel and providing services to match is just a small extension. That is why we are able to offer a guaranteed return of 7% over the next five years, with an option to extend another five,” says Yap. The company is working on a service charge of 35 sen per sq ft, which it will waive for the first five years. The group owns Swiss Inn in Kuala Lumpur's Chinatown, Sunway Hotel in Georgetown, Penang and Swiss-Garden Resort and Spa Damai Laut off Pangkor and Swiss-Garden Resort and Spa in Perak and Kuantan respectively. It also has another property, Garden-Lodge, in Sydney, Australia. On the upcoming service apartment, Yap says the unit size ranges from 550sq ft to 2,700sq ft. Priced between RM330,000 and RM2mil, he says this works out to RM800 psf, which is relatively attractive considering how land prices have moved up of late. The development has a gross value of between RM260mil and RM270mil. The project is within walking distance of Plaza Rakyat - an integrated development which has had its fair share of starts and stops - and a stone-throw away from the former Pudu prison, which is expected to be redeveloped. “These are projects in our vicinity. Once they are up and running again, they will add to the value of our development,” he says. The group has five core divisions; the hotel and leisure business involves ownership, hotel operations and its time-sharing business. This, says Yap, offers a steady recurring income. The hotel and leisure divisions contribute between 20% and 30% to group income. Other divisions include trading of building materials and manufacturing of power cables. The contribution from both is insignificant but strategic as they help the company keep tabs of market conditions. Its property and construction divisions are by far the most lucrative, as both contribute between 50% and 60% of group revenue annually. PJDH chalked up a six-month cumulative revenue of RM356mil as at end December 2007, compared with RM252mil for the same period in 2006. Profit before tax amounted to RM87mil and RM19mil respectively. The group has about 1,500 acres of undeveloped land in Selangor, Kuantan, Butterworth and in the states of Johor and Perak. Besides the service apartment project, the company will also launch its gated and guarded development Duta Kingsbury in Sri Hartamas in the next several weeks. The 10-acre freehold development will have 64 units of linked houses and 200 condominium units split over two blocks. Unit sizes range from 2,000sq ft to 6,500sq ft.
Units are furnished with kitchen cabinets, cooking appliances and refrigerators while its standard landed terraced units (24ft x 75 ft) with air-conditioners. Facilities include a swimming pool, a gym, tennis and squash courts, meeting rooms and a multipurpose hall. Maintenance is at 24 sen psf. This strata development will be completed by 2011. “With the Mont’Kiara and Sri Hartamas amenities like malls, international schools and strong food and beverage outlets, Duta Kingsbury will boost our income considerably.” he says. Prices for landed and condominium units range from RM1.4mil to RM6mil. Duta Kingsbury will have a development value of RM580mil. The company also took over an abandoned 28-storey office block in Jalan Tun Razak, which it will complete next year and aims to sell en bloc for about RM300mil. The company has other projects in Bukit Antarabangsa and Cheras. In Petaling Jaya and Kelana Jaya, prices are going between RM400 and RM450 psf, and have the further benefit of infrastructure capital. WHEN it rains, it pours. Inflation jitters, global credit tightening, stubborn high oil prices (and rising) and a looming food crisis have been major beefs weighing down global economies over many months. This week, for example, key figures in US offered directly contrasting opinions on their take on the market direction. US Treasury Secretary Henry Paulson and Citigroup Inc CEO Vikram Pandit commented that the worst of the credit crisis is over. However, Federal Reserve chief Ben Bernanke’s comments were laced with reservation. He said that while markets have improved, they remain far from normal. The markets continue to reflect such uncertainty. However, undeniably, the mood has been somewhat buoyant since April, as retail and ISM figures paint a more optimistic US outlook. According to Standard & Poor’s monthly global stock market review, developed markets posted a 5.15% gain in April after losing 8.95% in March. Likewise, emerging markets climbed 7.49% in April after falling 5.11% the month before. Now that we're full fledged into May, record oil futures of US$124 are back to sting the market. With few other fuel alternatives in production, it is still carved in stone that oil is the main source of energy. Some oil experts have said that further dollar weakness can possibly send oil prices to US$150 a barrel in coming years. Hence we have a general undertone that is still one of restrain and uncertainty. The lowered wealth effect from equity markets heightens the defensive nature of investors. This has obviously put a damper on Malaysia's property market, taking some shine away from its robustness last year, not least because of the slew of attractive measures to boost the sector. The fluid political landscape in Malaysia does little to lift the cloud for investors, most of whom are evidently adopting a wait and see approach. But interestingly, economists say that during times of inflationary pressures, real estate in fact offers a good hedge against inflation. (Inflation hedging is when the real return of an asset is independent of the rate of inflation. Generally, an asset is a complete hedge against inflation when its nominal return changes in a one-to-one relationship with inflation). Citi Research expects, that over the long run, property rents and asset values to rise in line with inflation, but more likely with nominal gross domestic product. “There is no way property prices are going down. Construction and labour cost is going up. Land cost is also fixed. If you have money, you have to invest, because you won't get them any cheaper,” says Hall Chadwick Asia Sdn Bhd chairman, Kumar Tharmalingam. Kumar: The subprime in the US is not really affecting us. “For example, if you bought a home 18 months ago or if you buy that very same house today, it is likely to be more expensive now than it was 18 months ago,” says Kumar. Ng: I would buy today because raw material prices are going up. “Demand on property still depends on location. On the whole, the results of the recent general election did cause some instability and led to a wait-and-see attitude among house buyers. But the undercurrent is still fairly stable,” he says. While global financial markets will continue its roller coaster ride, most property experts opine that Malaysia is fairly well insulated, Although macroeconomic fundamentals are sound, asset prices have been temporarily dampened as investors price in discounts to factor in a possible slowdown in the future. “The subprime in the US is not really affecting us. But because of uncertainties in equity markets, this is creating a temporary gap of expectation. People are anxious that their incomes may be eroded by rising commodity prices. Banks have also started to aggressively advertise again. But house buyers are holding back until the market clears,” says Kumar. “We have been so used to being mollycoddled over the last 30 years. So the present situation confuses people especially the lower rungs of homebuyers. Among the developers, yes, there is a slowdown in the bread and butter homes, but it's marginal. There is perhaps a 10% drop across the board on the bread and butter homes of less than RM400,000,” says Kumar. Rehda’s Ng says that the state and federal government should take more proactive measures in their approach to work together. “Everyday we are hearing criticism from the various political parties which isn't constructive. We need to hear more positive statements,” he says. Ng admits that developers are delaying launches of new developments. He attributes this partly to building plans that are slower in getting approved, adding that some local authorities have yet to have their new councillors. Areca Capital Sdn Bhd chief executive officer Danny Wong says that demand in the residential urban segment for medium and high end homes is still encouraging. Wong: The demand for properties depends on perception. “Nonetheless, we are in a period of rising inflation, so caution dominates. The demand for properties depends on perception. If the location is unique, people will still buy as there is ample liquidity...” he says. Given the present scenario, Wong says there are a few factors that developers can consider when launching a new development, such as rising cost of material and labour, uncertainty on demand and the rising cost of funds of a development. A property analyst from Hwang-DBS Vickers Research says that people are adopting the wait-and-see attitude. For Ng, location is everything in picking the right property. He says Mont Kiara, Damansara and Petaling Jaya are prime property areas. Overhang issues exist mostly in the outskirt areas, where the population is sparse. Generally, successful developers are those that have land in prime areas. While Ng says there is some truth in attention being given to far-out locations due to its unique design, that novelty will eventually die off and people will start to neglect those areas. “Good locations must have close proximity to schools, hospitals and other such amenities. “Shah Alam is one good example. While the initial launches in these areas have done well, it remains to be seen whether there is the population to support later launches. So far, the launches that have been made are over 3 to 4 years. The next 6 to 7 years remain to be seen,” he says. Kumar and Ng are strong advocates of buying now, as they don't see prices coming down. Generally too, house prices appreciate by 4% to 6% per annum based on the inflation rate. “If you want long-term capital appreciation, you buy landed property. If you want rental yields, you buy condos. Property development in Malaysia has always been robust and an important engine of growth other than plantation and oil,” says Kumar. Noteworthy is that Malaysia's property market has yet to strongly take off unlike Singapore and Hong Kong. In prime areas, where rental yields of 8% to 10% are easily achieved, the property's price downside risk is further protected. Malaysia's property market is buffered as it isn't financed by international bankers, nor is it affected by foreign debt. “Malaysian banks are in healthy financial positions. We are able to take loans up to 80%. Even the EPF helps to pay the downpayment for property purchases,” says Kumar. Kumar says certain developers have been very innovative. Through unique landscaping and creative gardening, they are able to fetch a premium price tag although their developments are located out of the city. Kumar says there are new groups of homebuyers, the younger generation, who do not mind paying more for quality design. In the condo sector, he sees pockets of excellence in Mont Kiara, KLCC, Ara Damansara, Petaling Jaya Section 16 and the Kelana Jaya area. Notable developers include Sime Darby, SP Setia, Gamuda and E&O. “Mont Kiara is a good example of how other developers have tapped into pioneer developer Sunrise Bhd's blueprint and benefited from it. All the developers there are doing well because Sunrise has set the standard and quality. They match its quality, if not make it better. So although the place is so crowded, it has not lost its attraction,” says Kumar. He adds that the slowdown in Malaysia's property sales has not been significant, somewhere around 10%. “Developers have no choice but to keep the momentum going as most of them are public listed companies with earnings to deliver. If they can't sell at a previous high price, they will reduce its size or increase its value added proposition,” he says. Wong is of the view that if a buyer has the intention to reside in a property, then the present time is the time to buy, as vacant land is scarcer especially in the prime areas. “However, if you are buying to invest, perhaps pause for awhile, as the global situation is still uncertain. The Malaysian economy could be slightly affected by slowing exports, as the exports are currently supported by strong commodity prices. While the impact is not severe, it may slow down the economy,” he says. One segment of the market that has certainly not been affected by inflation or credit worries is definitely the luxury and upper end property market. Because of healthy liquidity and wealth amassed, this segment continues to transact record prices. Kumar says luxury homebuyers are typically high net worth individuals with deep pockets. “Record prices in KL will continue to be transacted in the secondary market. One KL (a development by Datuk Chua Ma Yu) for instance, which started off at RM1,200 per sq ft (psf), recently had two transactions at RM2,000 psf. We have yet to see what kind of prices will be transacted when The Four Seasons is launched,” he says. The Binjai and the Millenium Residence are other branded residences that may be tested with new benchmark pricing. Currently, the average develper's selling prices of residential properties in Kuala Lumpur and its fringes range between RM1,300 and RM2,000 psf, while those in the suburbs are between RM700 and RM1,000 psf. In the last few years, these apartments, which were sold for between RM500 and RM700 psf, have recorded price appreciation of between 70% and 120%. “For suburbs such as Mont' Kiara and Sri Hartamas, prices start from RM650 psf and goes beyond RM1,000 psf. In Petaling Jaya and Kelana Jaya, prices are going between RM400 and RM450 psf, and have the further benefit of infrastructure capital. “The KL City area is an AAA location. Prices will vary, but as long as we have tourism income contributing RM15bil-RM17bil a year, I don't see the property market being affected,” says Kumar. On record prices, Ng says this is dependent on the yield that the particular property is generating. If the property is unable to command the said yield, property prices will eventually go down. Another area that Kumar foresees to be one of the hottest spots is the Bandar Utama, Mutiara Damansara and Damansara Perdana area. Known as the “golden mine”, the only missing ingredient is a link connecting all three townships. “This has got to do with the stubborn old school mentality of the three developers. The linkages between Bandar Utama and Mutiara Damansara will benefit both the commercial centres of 1Utama and the Curve/Ikea/Cineplex area and Damansara Perdana. Each has its own loyal purchasers but cross selling and ease of connections can only help both developers and Damansara Perdana in values and trade,” says Kumar. He sees another future hot spot nearer the Shah Alam area, as many of the developers there are owners of huge tracts of landbank. Among the developers in Shah Alam are SP Setia Bhd, Sime Darby Bhd, Island & Peninsular Bhd and IOI Corp Bhd. Kumar admits that foreign direct investments (FDI) into Malaysian properties could be a lot better. To the high-end segment, FDI is contributing about 15%, while to the overall property market, it is contributing 5%. “There is a perception in Malaysia that still needs to be overcome. There are still issues on FIC for non-residential. Not every non-residential wants to buy residential property. They also want to buy investment and commercial properties,” he says. In Thailand and Vietnam for instance, foreigners can choose any partner when buying such properties, but in Malaysia, they cannot. ACCORDING to the Malaysian Valuation and Property Services Department, the fourth quarter of 2007 saw developers offering a total of 6,636 new housing units to the market. This is a significant drop from the last quarter where 10,536 units were released to the market. From the total, 1,471 units were taken up during the period, achieving 22.2% sales performance, which is an improvement from 19.3% in the previous quarter. By property type, terraced units continued to dominate the new housing market representing 59.2% (3,928 units) of the national total. By price range, houses priced at RM250,000 and above per unit remained popular among developers as represented by 39.5% of the new houses launched into the market. Houses priced between RM150,001 and RM200,000 per unit made up a further 20.7% of the national total. From the buyer’s perspective, units priced between RM 200,001 and RM250,000 were in demand as indicated by the 61.5% sales performance. Generally, all states had fewer new launches except Kelantan, Kuala Lumpur, Perlis and Johor. Kelantan had the highest increase from the last quarter to register 36 units. Kuala Lumpur had a fourfold increase to 983 units, followed by Perlis with 157 units and Johor at 1,802 units. By state, Selangor continued to dominate the newly launched housing units in the country to record 2,044 units but lower than 3,915 units launched in the previous quarter In term of sales, Penang achieved 100% sales performance but there were only 78 units launched. On the subject of overhang, the number of overhang property in the market decreased 4.7% to 29,481 units from the third quarter. However, units under construction that remained unsold increased 6.9% to 57,230 units after favourable trends in the last four quarters. The number and value of the overhang residential property in the market improved slightly. On a quarter-to quarter basis, residential overhangs reduced slightly from 24,488 units to 23,866 units while value decreased from RM3.9bil to RM3.8bil. Across the country, four states registered increases in the overhang units. Perak recorded the highest increase of 27.6% to 1,379 units. Pahang and Johor observed upward trends of 9.2% and 1.4% to record 596 and 6,941 units respectively. Malacca noted a lower increase of 0.9% but the number remained high at 2,294 units. On the other hand, Penang, Sarawak and Perlis observed lower overhang units by 20.7%, 19.9% and 16.2% reductions to record 310 units, 682 units and 145 units respectively. Similarly, Selangor and Negri Sembilan experienced lower overhang units by 11.7% and 7.3% decreases to register 4,053 and 1,452 units respectively. 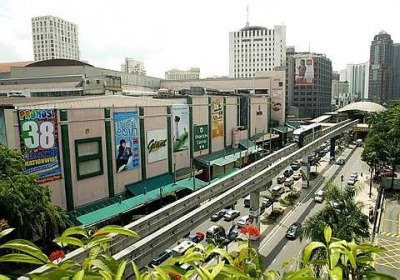 PETALING JAYA: Sungei Wang Plaza, a famous landmark in Kuala Lumpur’s Bukit Bintang area, is attracting attention from local and international parties for sale or joint venture to further develop its potential. The many suitors are rumoured to include CapitaLand, which paid RM770mil for Gurney Plaza in Penang and RM430mil for the Mines Shopping Fair. Based on its strong income and current valuations, the 60% retail and car park space owned by Sungei Wang is said to be easily in excess of RM600mil. Back in December 2006, Landmarks Bhd had announced the sale of its stake in Sungei Wang for RM284.8mil cash to Kencana Property Management Sdn Bhd. This on a revalued net tangible asset and included liabilities. It is believed the current owner is not all out for the sale of its stake but is keen to explore possible tie-ups with any strong party that could add value to its potential. Sungei Wang, which was built in 1977 by Tan Sri Chong Kok Lim, has total retail and car park floor area of 1.2 million sq ft, and enjoys 100% occupancy. Its location is said to be boosted by good feng shui and the presence of the Imbi and Bukit Bintang monorail stations. 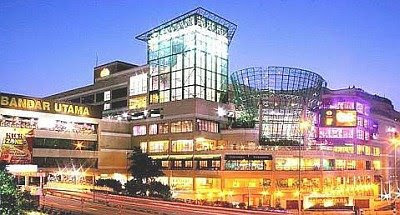 Sungei Wang recently won The 2007 Brand Laureate Award for brand excellence in the retail shopping category. Speculation has it that a large shopping mall real estate investment trust (REIT), exceeding RM1bil, could be in the offing, if talks with CapitaLand materialised. But would that be enough to draw investors, given the lacklustre market? The listed REITs are already reporting fairly good results but their capital appreciation is not really reflected in their share price movement. Maybe, observers point out, the industry can come up with a large home-grown shopping mall REIT incorporating malls with high passenger traffic and robust sales in different localities and segments. These are in the likes of One Utama, Mid Valley Megamall and Sungei Wang. At the moment, nothing much has come out of such a suggestion. But one can never tell as someone may just sit up and decide to propose a very exciting and diversified proposition. Sungei Wang itself, together with Andaman Resort in Langkawi, was the subject of a potential REIT. However, the plan was called off by Landmarks, following the entry of North Symphony Sdn Bhd and Genting Bhd as major shareholders. “Sungei Wang has potential for further capital appreciation due to two reasons – location and trade mix,” said Tan Hai Hsin, managing director of Henry Butcher Retail. “Decentralisation of shopping centres over the last 10 years in the Klang Valley has not affected the business of Sungei Wang. “Sungei Wang’s unique selling point is sustainable. It is difficult to be duplicated elsewhere,” he added. Whether Sungei Wang has potential for REIT is debatable. “It is a strata-titled shopping centre. Its potential for capital growth is high, but will not be as high if it is owned by a single owner,” Tan said. IF you were to chart the path your life has taken, how would you do it? Would it be by the friends you’ve made, the jobs you’ve held, the countries you’ve visited or maybe even the people you’ve loved? For me, it’s always been bricks and mortar. Flats, bungalows, houses, condos – all have, at some point, functioned as the backdrop of my life. Because my father was a police officer, we spent most of our childhood in Government housing. There were the little police flat in Jalan Riong, Bangsar, where I was born, or the huge PWD bungalows that we moved to in Jalan Guillemard in Damansara – perched high on a hill where monkeys came to visit, but alas now long gone to make way for the multi-level highway. However, this was adequately made up for over the weekend, when the local pakcik, singing cheerfully in his musical Kelantanese dialect, would wheel his bicycle into our front garden with a cheeky monkey perched delicately on the handlebars. He’d then proceed to whisper in the creature’s ears, and within minutes the little chap would go scurrying up the trees to pluck coconuts for us. No matter how we begged, Pakcik would never tell us what he said to the monkey – though he’d gamely split open the tops of the young green nuts with his parang and we’d squat on the ground next to him drinking coconut water as it ran down our arms, and scraping the tender flesh out with our fingers. When we moved back to KL a few years later, home was the novelty of a wooden house in Jalan Kia Peng, that, believe it or not, stood on stilts like a kampong house – only right smack in the middle of the city! Every day brought its own excitement of newly discovered leaks and rotting planks – and the vast back garden played host to a family of slow-moving iguana lizards who would crawl out in the noon-day sun and stare at us malevolently with flicking tongues as we hung the washing out to dry. For the most part, these government houses were graceless, bog-standard, scruffy, box-shaped utilitarian edifices, with no thought for the exquisitely lined, shining glass fronted, architecturally excessive houses of today. However, they were fabulous homes to grow up in and boasted huge rooms, high ceilings and gardens filled with ancient trees of scarlet flame and fragrant chempaka flowers, with a series of scraggly bushes the only barrier between you and your next door neighbour (rather than the barb-wired brick-walled partitions of today). And it was only when dad retired that we moved to the family home in Ampang, which my parents still live in now, that we finally had a roof that we owned, over our heads. It’s funny how in those days houses were very much for the business of living. They were not about fashionable furniture or “just the right shade of celadon green” drapes. They were real homes where people shared food with loved ones, and where we lived and celebrated life, births, wedding and funerals within their four walls. These days, houses seem to be regarded as status symbols, emblematic of wealth, ego and possessions. And as a result, the talk at dinner tables in Britain revolves around the dismal housing market and words like “negative equity” and “financial liability” get bandied about as frequently as “pass the salt”. The finger of blame gets habitually pointed as well – at Gordon Brown and his dismal reign; at those American banks who lent unwisely and started the credit crunch; at greedy home owners who spoilt the market?and on and on. It seems the great home-owning public out there has an insatiable desire to know what its assets are worth but when exactly did we stop thinking of our houses as homes, and start thinking of them only as figures on a balance sheet? The pundits are quite clear – negative equity only hurts if you are looking to sell. If you sit tight and ride the lows, you’ll emerge eventually with your equity, and your dignity, intact. And aspiring buyers need to wait until the situation eases, keep their credit record clean and save as hard as possible. IKEA’s great typographical ad campaign (www.maxhattler.com /ikea/) recently put things in perspective when it urged house owners to print out NOT FOR SALE signs and stick it in their front garden. “Home is the most important place in the world”, the soft Scandinavian voiceover says. “What do you put into it? Your money or your life and soul? What will you get out of it, a profit or everlasting memories?” “Home”, she says soothingly, “has a soul and a soul is not for sale”. OK, admittedly it works in their favour considering the business they’re in, but don’t you think maybe they have a point? Perhaps it’s time for all of us to take a long hard look at our houses today, and remind ourselves that whatever it’s worth, it’s still our home. DUBAI: A group of companies is developing another Pangkor Laut Luxury Resort, Residence & Spa Village on the prestigious "The World" development, taking shape four kilometres off the Jumeirah coastline of Dubai. Potential investors and the media had a glimpse of what is on offer as the luxury resort being developed by City-D Development, together with its partners, was unveiled recently. The project is modelled after the award-winning Pangkor Laut Resort in Malaysia which is managed by YTL Hotels & Properties. According to a statement, the Pangkor Laut Luxury Resort, Residence & Spa Village is being built on a 1.6 million sq ft island plot in the heart of The World. The resort component offers 120 deluxe guest rooms, 20 fully-equipped luxury beachfront villas, shopping gallery, restaurants, aquapark and what is said to be a first for Dubai - an underwater nightclub. The residential component under the Pangkor Laut Luxury Residence & Spa Village will offer 92 apartments, 20 attached beach villas with private pools and 28 independent luxury villas with private marinas. Residents will be able to enjoy various facilities such as the community club, spa village and gourmet food boutique. "Pangkor Laut will offer investors and guests a unique opportunity to experience island lifestyle on one of the most iconic projects on the planet," said Sofia Zigangirova, chief executive officer of Stars Dome Realty, the real estate agent for the project. PETALING JAYA: Despite some quarters valuing Boustead Properties Bhd at RM8 per share, analysts remain generally positive on Boustead Holdings Bhd's offer on Thursday of RM5.50 per share to buy out the 65%-owned subsidiary. HLG Securities research manager Ridzuan Mohamed told StarBiz the offer price was “fairly generous on prospective valuations”. The offer of RM5.50 gives a price-earnings ratio (PE) of about 15 times to prospective financial year ending Dec 31, 2008 earnings and a free cash flow yield of 5%. “These numbers are on the high side relative to the property sector, as mid-cap property developers are trading at PEs of below 10 times and real estate investment trusts (REITs) have 7%-plus dividend yield, so the offer is fairly generous on prospective valuations,” he said. HLG Securities, which has had a “buy” call on Boustead Prop since April 25, maintains its fair value of RM4.80 on the company. The research house's fair value is based on the market value of Boustead Prop's Al-Hadharah REIT stake, plus discounted cash flow valuation on its property business. “Having said that, there could be a lot of future value accretion from its investment properties, especially The Curve/Cineleisure Damansara. “Combined, these two malls have an effective net lettable area of 780,000 sq ft, and assuming these are worth RM1,100 per sq ft as per broker fair value on IGB's Mid Valley Megamall, you will get an incremental RM2.50-RM3 above our RM4.80 price target. “But that's a big 'if', because these malls are not big income earners yet,” he added. Ridzuan pointed out that in 2007, total property investment earnings before interest depreciation and amortisation was at just 10 sen per share. He estimates that it would take about three years for The Curve/Cineleisure to reach its full valuation potential. “It's not going to be immediate,” he said. MIMB Investment Bank head of equity research Pong Teng Siew is also in favour of the deal. He said since the Boustead group raised its stake in UAC Bhd to 65.2% from 38.5% last May, there appeared to be a trend for the group to increase its stake in its associates and subsidiaries and make acquisitions. The market had been quite receptive to this and the group had generally been able to generate synergies and value from the deals, he said. “It's not a great stock for immediate capital gain but can be held for the long term,” he said, adding that the property sector looked undervalued currently and the acquisition of Boustead Prop shares should give the group some future upside. SUBANG JAYA: Lafarge Malayan Cement Bhd has asked the Government to consider the Cement & Concrete Association of Malaysia’s (CCAM) request to review the price ceiling for cement. It has also asked for the implementation of the proposed automatic price mechanism (APM) to battle rising cost of raw materials. Newly appointed president and chief executive officer Bi Yong Chungunco said the company fully supported CCAM’s proposal as the cement industry was facing a tough time containing costs in producing cement for the local construction industry. Bi Yong Chungunco (left) and Yeoh Khoon Cheng. “The 9% increase in the ceiling price approved by the government in 2006 had only partly offset the 40% increase in costs suffered by the industry over the past few years,” she said after the company AGM yesterday. Chungunco attributed Lafarge’s performance in 2007 and the first quarter of this year to improved cement demand growth, especially in Peninsular Malaysia, and cost control measures. For the year ended Dec 31, 2007, its net profit jumped 64% to a record RM284.2mil compared with RM173.3mil previously. In the first quarter ended March 31, Lafarge registered RM66mil in pre-tax profit, against RM59mil a year ago. Chief financial officer Yeoh Khoon Cheng said rising costs continued to be an industry-wide challenge as cement makers’ profit margins were eroded due to escalating fuel price. “Coal, transportation, cement paper bags and other materials have all gone up in price,” he said, adding that if adjustments to rising raw material costs were not made, the local cement industry would be significantly affected. Lafarge commands slightly over 40% share of the local cement market. About 70% of its output is sold domestically, and the balance 30% exported to Indonesia, Bangladesh and Sri Lanka. On future plans, Yeoh said Lafarge was looking to invest RM100mil in a grinding mill, which is expected to be operational by 2010. PETALING JAYA: Apart from construction players, it looks like building material suppliers stand to benefit from strong domestic demand now that at least two-thirds of Ninth Malaysia Plan (9MP) projects are going to be on track. OSK Research analyst Ng Sem Guan said the steel industry was already performing well due to strong regional export demand and the recent removal of ceiling price control. “(Having) 9MP projects come on stream would be an added bonus,'' he told StarBiz. He added that since these companies supplied to the domestic market and did not incur additional transport and logistics costs, their profit margins could be enhanced. Inter-Pacific Research, in its report, said steel players such as Ann Joo Resources Bhd would potentially benefit from the implementation of two large infrastructure projects – the second Penang bridge and Ipoh-Padang Besar double-tracking rail project. “These projects are expected to consume more than 750,000 tonnes of steel bars valued at about RM1.2bil,” it said. Recently, Works Minister Datuk Mohd Zin Mohamed said the ministry would instruct the Construction Industry Development Board to work with the Statistics Department to collect data on the current steel prices, which have risen by as much as 50% for some products. The board was also asked to produce a list to act as a basis to calculate steel price changes by contractors. The ministry also urged structural designers to use steel materials in the design of industrial building system (IBS) components. IBS is an alternative building technique that uses products, components or building systems that involve the pre-fabrication and installation of building components at sites. OSK Research analyst Lim Vi Ming said the ministry's moves bode well for the steel industry as higher raw materials prices could be passed on to consumers. According to Lim, other construction-related players such as metal-forming and specialised glass manufacturer Ajiya Bhd are the likely beneficiaries of 9MP projects and could receive an earnings boost. “This company (Ajiya) has good profit record as it has been successful in passing on mounting production costs to customers,” he added. Another beneficiary is medium-density multi-purpose fibreboard manufacturer Evergreen Fibreboard Bhd. According to Lim, tile manufacturers such as Yi-Lai Bhd and White Horse Bhd are mainly dependent on private projects and cater to retail demand, and hence may not enjoy the spill over effects from 9MP projects. “The effects on the tiles industry may not be immediate as the installation of tiles would only be apparent at the end of each construction project. “Therefore, the boost in sales can only be evident at the later part of the project,” Lim added. BETTER RELATIONS: Ong (left) and Prasad after the signing of the contract yesterday. The award of the RM3.45 billion 100km electrified double-tracking railway from Seremban to Gemas in the southern part of Peninsular Malaysia to Indian Railway Construction Co (Ircon) has put to rest a major controversy that had threatened to sour relations between Malaysia and India. In 2001, the government had awarded a US$3.5 billion (RM11.4 billion) double-tracking project to Ircon, India's national railway company, but withdrew the contract two years later without explanation. Last year, Malaysia invited Ircon to re-submit its bid, leading to the award of the Seremban-Gemas portion in December. "I'm happy that relations between India and Malaysia are growing in a comprehensive manner and trends are most positive," India's railway minister Lalu Prasad said at the signing of the contract between the government and Ircon in Putrajaya yesterday. Prasad said that bilateral trade between Malaysia and India grew 24 per cent to US$8.1 billion (RM26.3 billion) last year, adding that Malaysian firms had been awarded US$6 billion (RM19.5 billion) worth of construction projects in India. "There will be more opportunities for Malaysian firms in India, especially in infrastructure construction and railway development," he said. Meanwhile, an Indian official, who declined to be named, suggested that India's idea of building a monorail in Patna, Bihar, which may exceed RM1 billion, could be undertaken jointly with a Malaysian firm, citing Scomi Group Bhd. "The idea has been presented to the Malaysian government in a meeting held on Thursday. Ircon is now doing a study on the local monorail model to see if it's feasible in complementing India's other modes of transportation," the official told Business Times. Malaysia's design-and-build double-tracking contract, which will be fully funded by the government, will be implemented in four years. It will cover 34 river bridges, 27 road bridges, 107 culverts, two viaducts of 1.25km and 0.6km lengths and an 8km tunnel. Ircon will build the first stretch from Seremban to Sg Gadut in three years, and then from Sg Gadut to Gemas, finishing the lines by July 2010. The project will benefit Keretapi Tanah Melayu Bhd as it will be able to extend its commuter services to Gemas instead of making its last stop in Seremban. Ministry of Transport finance secretary Datuk Tan Kiong Han said that payments to Ircon will be made progressively, adding that the government had issued two payments since the company started works on January 15. It is learnt that IJM Corp Bhd is the main player for the railway job and that Ircon will call for tenders soon to appoint sub-contractors.